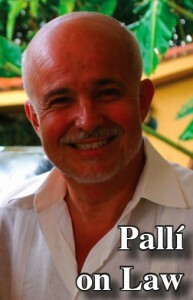 By José Manuel Pallí, Esq. So our Treasury Department canceled the agreement between Major League Baseball (MLB) and the Cuban Baseball Federation that allowed certain Cuban baseball players to sign with American teams. It is easy to portray this as yet another entry in President Trump’s long “to undo” list. After all, our tremendous president and his overwhelmed crew still feel overshadowed by our last president, to the extent he claims to have undone even things President Obama never did, such as putting migrant toddlers in cages at our southern border. But such a portrait would be wrong. To be fair, when it comes to the rekindling of our relationship with Cuba under Obama, the Trump “administration” could have undone many other things over the past two years, but chose not to. The decision to cancel the baseball agreement should be seen in the context of the “Cuban-Americanization” of our policies in the Western Hemisphere. Most Americans are not aware that Senator Marco Rubio has been our “acting” Under-Secretary of State for the Western Hemisphere for almost two years now. You may have to live in South Florida, as I do, to even entertain any thoughts about our policies regarding the Western Hemisphere. The anointment of Senator Rubio as “acting” chief diplomat in charge of our relationships with South America and the Caribbean took place in June 2017. At the Artime Theater, in Little Havana, after staging a rally where he dumped on Cuba, Trump announced a “new policy” towards the island, signed a resolution and handed the document over to Marco Rubio, publicly signaling that this was the baby of Little Marco, as Trump called the Florida senator during the last Republican presidential primaries. When people like John Bolton and Elliot Abrams came on board late last year, the full picture of what to expect with regard to our policy towards the Western Hemisphere was there for us: nothing more than the failed policies from the past — the same that have turned Mr. Abrams into a criminal in the eyes of many. Enter the humanitarian crisis in Venezuela, officially launched at a White House meeting around Jan. 23 this year. The Western Hemisphere policy team, encouraged by the latest election results in the region (Iván Duque in Colombia, Jair Bolsonaro in Brazil, the return of Sebastián Piñera to La Moneda in Chile), decided the time had come to get rid of President Nicolás Maduro in Venezuela. Maduro was told to leave; Mr. Rubio even tweeted images of a bloodied Muammar al-Ghaddafi when Maduro was six weeks overdue. Yet another month has gone by and Maduro is still there. And so is Rubio, trying to revive “his baby” at the Western Hemisphere policy ICU. He needs something just like the cancellation of the MLB agreement with Cuban baseball to pressure Cuba into telling Maduro to leave. I guess that’s what his aim is — get Cuba to force Maduro’s hand, something Rubio’s government, in all its might, has not been able to accomplish after almost three months trying. Because otherwise the “reason” the agreement was cancelled is one you can hardly understand — unless you have lived in South Florida for the past 40 years as I have. Here in South Florida, futility is not a cost for extreme politicians who rant and bark against “dictatorships”; on the contrary, it is rewarded with money and votes! But how can I explain that to you in Montana? Some (most?) of Rubio’s constituents apparently still believe that by denying the Cuban government any funds — the Cuban Baseball Federation was to keep an absurdly unwarranted 25% of its former players’ signing bonus in the United States, and tax their earnings — they are expediting its fall. Yes, some of Rubio’s constituents still believe that, even after 60 years of futilely trying such economic strangulation policies. May God bless their souls! It may well be that such beliefs are grounded in the way our own political system works. Money makes our political system go around. When shortly after the Parkland High School massacre Mr. Rubio was accosted by a number of students critical of his ties to the National Rifle Association, he tried to justify them by saying that since he first ran for public office he had supported the views and goals of the NRA. Of course, what he was also implying in so saying was that throughout his political career he had (has) always been “supported” by the NRA. The senator knows well — as all our politicians do — what the consequences of jumping out of the NRA’s pocket would be: the NRA would withhold its money from Rubio’s next campaign, and might even run some well-financed candidate against him. So if the denial of funds policy works with him, Rubio and his constituents may reason, it should also work with the Cuban government… Will it? At first glance, the only victims of the cancellation of MLB’s agreement with Cuba are present and future Cuban baseball players and their families, who for four hopeful months envisioned a bright future that rewarded their skills. And I don’t buy the argument that the cancellation of the agreement will help in our fight against human trafficking. The MLB agreement was meant to do exactly that, and it was hailed as such by many baseball players who had to flee Cuba by resorting to human trafficking rings. But another trait of our political system — also the result of the pervasive influence of money in the system — is how easy and safe it is for politicians to parade their hypocrisy before the American public by simply turning the tables. The fact that our political system is unabashedly ruled by money-driven incentives — and disincentives — should not lead us to believe that all political systems are like ours. The usefulness of economic sanctions as a tool for achieving any country’s foreign policy goals is very doubtful, at best. A 20-year-old study written by Robert A. Pape may still be the best gauge to measure the effectiveness of economic embargoes and the like. It is easy to say that Marco Rubio and his Cuban-American base are seeking revenge against Cuba when they support the cancellation of the baseball agreement. At least in Rubio’s personal case, that is a ridiculous claim, as he himself tweeted earlier this year: “Revenge for what?” (Senator Rubio has taken to tweeting with the same gusto and as often as his boss). After all, Mr. Rubio was born in the USA, his parents were here way before the Cuban Revolution came to power, and he has never set foot in Cuba. Mr. Rubio is simply channeling the impotent frustration of his Cuban-American base, which has reached the heights of economic and political power in South Florida without ever being able to translate that power into anything resembling a cogent and effective policy towards Cuba. The reason Rubio and all other politicians who cater to that Cuban-American base can get away with such futile measures, the Cuban embargo, or any other unilateral sanctions or threats (like the Cuban property claims ghost of Christmas past recently revived) is very simple: in our political (electoral) system, Cuba ceased to be a foreign policy issue decades ago. The only role Cuba has played over the past four decades, if not longer, is that of a trigger for the passions and enthusiasm of that Cuban-American base in order to raise easy money and get their votes. Even if you are a politician seeking public office in Montana, if you come down here and holler “Viva Cuba Libre” and “Down with Castro”, we’ll give you our money, even if we cannot vote for you. But I do understand the sadness and the intensity of the frustration many Cuban-Americans in South Florida feel. I know it is real. When I was a little Cuban tyke “exiled” in Argentina in the early 1960s, mom would take to the streets (with me in tow) on a weekly basis to protest against the Castro rule in Cuba and press the Argie government to break ties with the island. More than once we were detained at a police station for disrupting public order. My dad frequently received at home other Cubans who did the rounds throughout the Western Hemisphere collecting funds and seeking support for the cause of liberating Cuba from communism. Most of these Cubans were already based in Miami. Once, after a hearty lunch at the American Club in Buenos Aires with one of these fellows, I asked my dad why he gave these people any money at all: it was less than clear what it was that they were trying to accomplish with it. My father’s answer reverberates in my mind ever since, specially since I became a Miami-based Cuban-American myself, 40 years ago: “At least they are doing something…”, my father said. And that need to do “something” is precisely the emotional string Marco Rubio pulls when he takes a stand against the baseball agreement, even though it is plainly futile if your policy goal is to liberate Cuba from communism. Futile or not, misguided or not, cruel or not, at least you are doing “something”. And it is something that may get Rubio re-elected in the Senate, and his boss an extended stay in the White House, Florida being the pivotal state it is. This entry was posted on Friday, April 12th, 2019 at 10:26 pm	and is filed under Politics. You can follow any responses to this entry through the RSS 2.0 feed. Both comments and pings are currently closed.